Where: Heritage Farm at the Botanic Garden. Date: First and fourth Tuesday of every month. Note: the group will not meet during June or July. Cost: Included with regular admission. 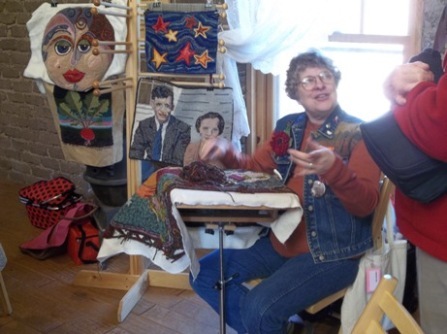 Join the Adobe Wool Arts Guild for a monthly demonstration of rug hooking. A craft popular since the mid-1800s, hooked rugs feature bright and whimsical designs created from recycled cloth, wool, burlap and other fibers. Visit with the group while they create their own rugs, or try your hand at the demonstration rug.